I have so many questions & they’re based on the fact that I’m at a pivotal time in my life. I’m now 70 yrs & living on fixed income with some health issues. I feel so desperate to figure things out cause life is not going to wait for me. I just now started to type some of the horrendous details of my life, but after second thought, decided to delete. In summary, I had to start over 20 yrs ago & was able to purchase a town-home, but lost $40k following the mortgage crash because I had to sell & then relocate again. 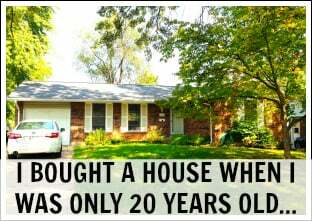 Now I’m starting over with a 30 yr mortgage & I also have large parent plus loan from years ago that I regret. I don’t think I’ll live to 100 to pay off the mortgage, but maybe it doesn’t matter. I purchased the financial bundle for $37 & hope to learn some gems that will help me form a plan to pay down debt. * Do you know which of the ecourses, ebooks or other financial info provided in the $37 bundle that I should read having to do with paying down loans (mortgage & student loan), etc. I will start to read the cheat sheets in hopes to identify where I’d like to start, but would like your recommendations too. * I have thought about a blog, but I’m not personally sure if I have what it takes. Are there successful bloggers in their 70s & 80s out there? I would love to hear if you have some recommendations on specific blogs having to do with grandparents helping grandchildren with autism/special needs, blogs about seniors deciding to travel the country (van-camping/class b) on a strict budget in search of like-minded others in similar age group that have figured out debt free solutions & living their best life, or blogs about creative nomads or homebodies that later in life decide to make beautiful things for sale to supplement their income. I personally sew, but have dreamed of learning pattern design. These would be a few of the areas of what I’m interested in & have thought to blog about myself, but I’d like to know if you are aware of any current successful blogs on these topics. I have lots more questions, but I’ll send these off for you to ponder. I basically want to learn how to pay down debt as quickly as possible & have the freedom to do whatever my heart desires in whatever time I have left on this earth. There are so many successful blogs on so many subjects, and it would be impossible for me to know them all. I do think a simple Google search would be helpful for you, and I’m sure you’ll find many great results. I want to start my blog. I’ve had it going for a bit but only have a few posts and keep getting stuck on the photos. I don’t feel like I have a good cohesive theme even though I try hard on it. Is there any resources you can give for taking photos for blogging and creating content? What camera and editing software do you use? The process? I would not say photography is a strong skill of mine. I use Lightroom and Picmonkey for photos, though. Hi Michelle, I ordered your free email course to get started blogging including the techy stuff earlier this evening, but don’t see it in my email. How long does it take? I’m ready to jump, but really enjoy your style of teaching and need the helping hand. Please let me know when to look for it. Thanks so much! It says you signed up a few weeks ago and read those emails already, so it won’t send them again due to spam settings. My question is about affiliate products. I read about how a lot of blogger’s sales come from emailing their list. I’m just curious what percentage roughly of your affiliate commissions comes from an email you sent out versus other reach ( FB, SEO, Pinterest, etc) Say for example Bluehost affiliate sales. I honestly don’t keep track of it super closely, as I have never been a very analytical blogger. I send most traffic to my email list, though, so everything is pretty intertwined. I really like the look and design of your website. Do you have a web developer who manages your website or do you manage your own? If you do have a web developer, would you mind sharing who it is? Since I don’t really know how to manage WordPress, I always need a web developer. I am about to start a blog on faith and money, how they are not mutually exclusive and how infact one can serve God faithfully and still pursue wealth at the same time without feeling guilty. It is the love of money that is the root of all evil not money itself. So my question is do you think I can make money writing on a topic like that? Also I am an introvert by nature so I tend to be quite private, can I make money writing a blog? 1) Yes I think it is possible. Charles, I can tell you that is a topic I struggle with big time. It’s a major mental block for me and I think it is for many people. I think you’re on to something here. I’d definitely read it! By the way, I have a well read blog and am quite the introvert ;-). I’ve started a blog. How would you proceed to becoming a leader in my niche ? My blog does require a lot of research which I like, but might be a time constraint. Advice to grow a blogging tribe in the least amount of time? Thanks a lot. Social media and growing an email list are the two top things that I recommend doing! I’ve been trying to grow my mailing list for a while, but it remains mostly stagnant. I have a very hard to getting much reach through social media (Instagram and Facebook). Any direction for resources or tips? Have you taken any courses on the subject? I read your blog often. You are really doing a great job. I hope this isn’t inappropriate or weird, but I have a favor to ask of you and a question. to my page “Bottled water is expensive: How to be frugal”. I think it would be a good fit for your paragraph “Bottled water”. If you would prefer to link to one of my other pages from a different page of yours please feel free to do so. My question is; what is your linking strategy. I only do organic linking. 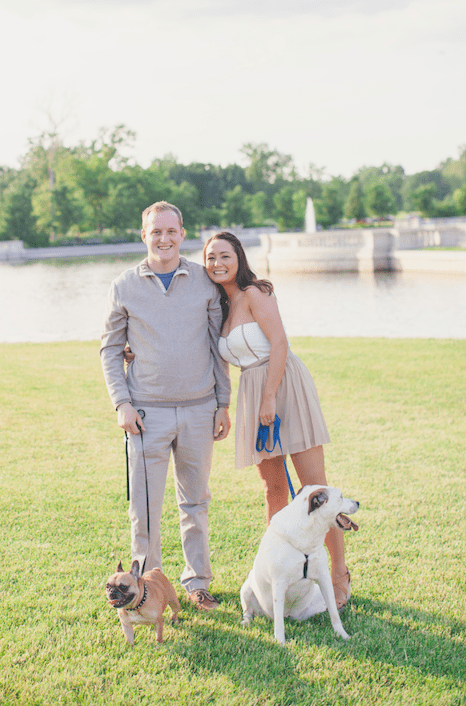 I’m about to launch my dog blog hopefully soon..
Homesweetpups.com and since you have dogs I would like to know what kind of ebook would you find helpful? if you would be looking for help with your dogs. Also ideas for freebies you would be interested in..
Maybe something about senior dogs? Training? 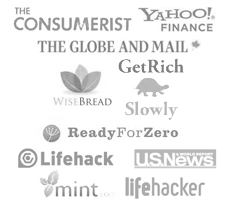 I am very familiar with budgeting, travel hacking, and saving money. However, I am not as familiar with investing. I currently contribute to 401K with a company match as well as a small amount to a Roth IRA every month. I would like to be more educated on investing where I could do some of it myself such as finding, buying, and selling stocks. Where to start?? How necesssary is filing a business license when first starting out ? Did u have to file one right away or can we wait till we start seeing income ? I cannot give legal/tax advice as it could set me up for lawsuits. Thanks for doing this, I love that you are so accessible to your readers. I get so motivated every time I pull up your site, especially seeing your humble beginnings on your financial reports and it still blows my mind how blogging can be such a lucrative career. What motivates you and keeps you motivated? The money, duh, ha! But besides that. I know we’ve communicated back and forth a few times and I just wanted to say thanks for always being so helpful. 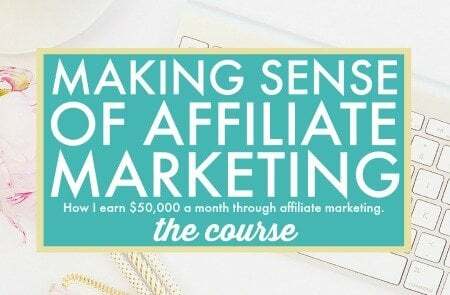 I’ve taken your course Making Sense of Affiliate Marketing and thoroughly enjoyed it. I love following you and I’m really working on growing and trying to take off my own blog. I’ve grow my Pinterest followers to around 800 in two months. Your course and the tips included in your course from Create & Go have really helped a lot, so I wanted to say thank you again. Is it possible for me to remain anonymous on my blog and still be taken seriously / professionally? I’m not really comfortable putting myself out there completely. Right now, I just go by my first initial. I’ve seen some other bloggers who’ve had some success do the same. I’m still willing to talk about my financial situation, I just would prefer to keep some privacy. What are your thoughts? Do I need to have a picture of myself with my full name? Or can I keep myself private? Yep, I was anonymous for a few years and I know others who are as well. Hello! I just found your blog and I’m dumbfounded at your success. Now I know you have a lot of these to go through, but if you have the time, could you give me some advice? 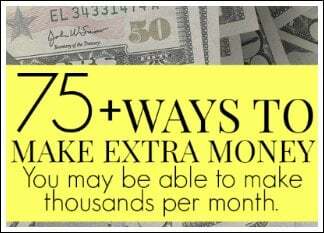 Finding ways to make extra money sounds like would be key for you. 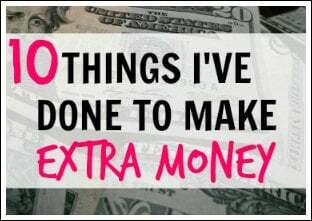 Whether that is passive income, a business, or a side job – you have tons of options. I recommend seeing which one you are most interested in. I think I’d be most interested in passive income since Computer Science and engineering takes up a lot of my time. Do you have any suggestions? 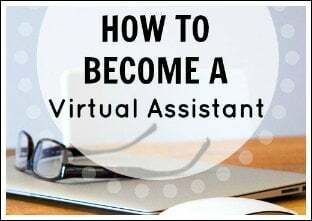 surveys, VIPkid, and ask wonder. I am an artist, web site http://www.mayparker.com, but want something different as a break from art and to make a little money too. My background is that I was a computer programmer for over 40 years and then I retired. I miss not working as being an artist is pretty solitary occupation. I can type and use WORD and EXCEL as well have general office skills. I have also done volunteer work. I am not very much of a ‘people person’ in other words somewhat of an introvert. Additionally, I have a B.S. degree in Business Administration. Many years ago I started and ran my own business and I don’t care to do that again. I would appreciate some suggestions on what kind of work I should pursue. I have a blog I am working to launch to provide content that is house related since we just recently flipped our first house, staged it and I have a love for farmhouse interior design. Do you think all of these home related topics would appeal to the same audience? Thanks so much for doing this! My husband and I would like to sell our home because we still owe ten more years on it, but we would like to retire before that time is up. We could sell the home and then just get a small condo and pay it off. We could then sock a significant amount away each month to save for retirement in seven years. My question to you is, what is the best way to invest that money to avoid the most taxes? I know if I invest in American Funds, I will have to pay taxes each year on what it makes. What are your investment suggestions in this case? 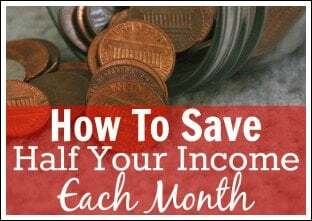 We would probably be able to save around $3,000 each month or maybe even more on good months. This is something that I am not an expert in, as I’ve never done this. I think a CPA who specializes in this would be your best bet. In a lot of your income and goal reports, you mention how you’d like to get ahead with posts. I’m trying to work out a system for myself that would work, and can’t fathom having posts waiting to be published… How did you figure out a system for yourself? And would you mind sharing a little of what that looks like. For example, are you outlining posts in batches and then filling them in. How do you work up to have a month of posts ready to go??? I have a curated craft blog that is in the final stages of being launched..meaning I’m getting content together. I have a business Pinterest account with the same blog name which has not yet been completely optimized. There are 9 different craft boards with 3000 pins and 38k monthly views and 85 followers. Here’s my question…the blog name is thesimplelifestyle.com. When I first started out a year ago my topic was different and when I switched to crafts I just left it. Do I keep the name since I already have an established Pinterest account or do I change everything to something more appropriate such as The Crafters Digest before I launch the blog?I don’t want to go any further without some expert advice! Thanks in advance. I hope It’s okay to ask this. But, I am REALLY struggling to get people to click on my affiliate links. I feel as though I am not overly salesy or spammy and that I seem pretty relatable so I don’t understand what’s going on. 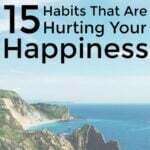 Do you mind looking at one of my articles and giving me pointers? I provided several below but I don’t expect you to read (or skim over) more than one hah I just wanted to give you options. Also, I’ve taken your course several times and it’s been really helpful so far!!! But I feel like I’m missing something because I am not really making any sales yet. I’ll have to go over it again. 1) Your display ads could be impacting your affiliate earnings, because it’s fighting for space for your reader. On affiliate posts, I usually simply turn off display ads. 2) What are your top posts? 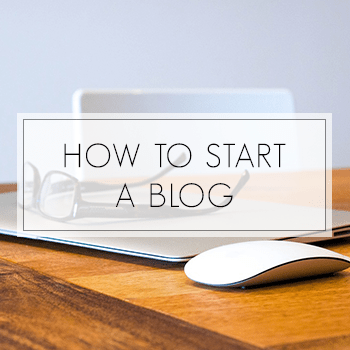 Are your readers interested in blogging? 3) Are you getting a lot of traffic to these posts? Thank you Michelle! You really put things into perspective for me and your advice was very helpful 🙂 You rock! Hi Michelle! I’m wondering if you promote your blog posts on instagram? Or is it better to post them on pinterest? Thanks for everything you do! 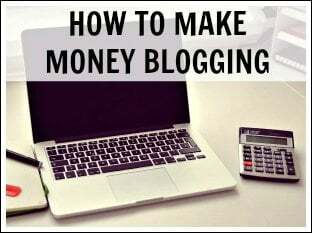 I was wondering if you wouldn’t mind laying out the expenses that come with running a well-established blog like yours? We enjoy reading your past income reports and kind of just want to get an idea of what other behind the scene expenses we might not be thinking of (you totally do not have to include a monetary cost of the expense, just what the expense is). P.P.S. Your Instagram stories of you and your dog walking around the beach in the Bahamas is unreal. Also, how many hours a week do you spend working on your blog now? I think I spend a good 40+ hours on top of a full-time job and I feel like I am not getting anything done. Just so much to do. Any suggestions? My editor is my sister-in-law, so it was easy for me to find. There are tons of editors out there too, so you shouldn’t have any issue. 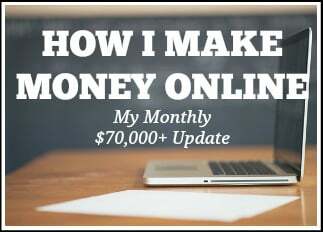 My name is Tiago and around 1 year ago I decided to work full time online: blogging, youtube, instagram, etc… I tried blogging, affiliate marketing, selling my own courses, nothing worked… I couldn’t sell 1 penny so far. 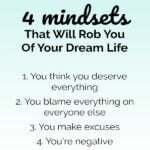 I talk about how to become a high-level international business executive, which was my job until I decided to work online, my website is compradoresdeelite.com if you want to take a look. I would like to have your idea about what I could do to start making some revenue. It just depends on what you want to do. 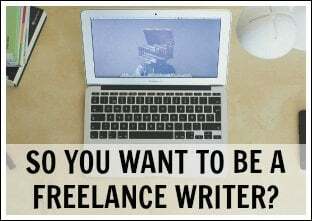 It could be email, guest posting, a podcast, social media, a Youtube channel, paid ads, etc. 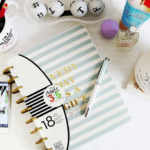 Your blog is very inspiring! 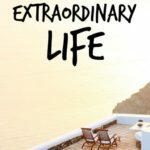 I’m a 21 year old who’s recently started a personal finance blog because I’ve always been very interested in saving and living mindfully and use these experiences to develop financial independence for myself. I’d love it if you could check out my blog if you have time but if not, I just wanted to say thankyou for your good work. Hello! My question is how do I get more clicks and conversions on my affiliate links in my blog posts? I feel that I am struggling with breaking into making consistent sales with affiliate marketing. I know I need to do something to make it click but I’m stuck. How did you get affiliate links to “click” for you? I am fairly new to the blogging world and you are actually the first blogger who inspired me to start my website. Just a simple website to share my experience after reaching F.I.R.E but I was wondering how important is having a low bounce rate? What is the ideal rate you should shoot for? Also, do you have any recommendations on a good plugin for custom calculators for websites? Thank you in advance. I honestly don’t even know what my bounce rate is and I don’t know what a good one is, haha. I don’t have custom calculators on my website either. Sorry, I wish I could be of more help in those two areas! Hi Michelle! I am a 25 year old living on the east coast. 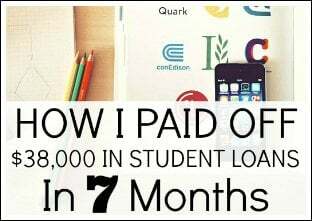 I recently started a blog about paying down 40k in student loans in 2 1/2 years. I was wondering if you could take a look at my website, and offer one piece of advice. For instance, anything that may stand out to you that you think I could change on the page itself or anything that you see and like that you think I should continue to do? It would mean so much to hear some feedback from you because one day I’d love to live a more *free* life like you, without so much constraint from work, and more time to do what I’m truly passionate about. Hi Michelle! Been following you since before I started my blog and I actually bought my Bluehost through your affiliate link. My niche is a combination of Fitness and Finance and I was surprised to read on one of your blog posts about the sameness of my topic to your sister’s blog so I also followed her since then. 🙂 I’m happy to know that the topic I’m passionate about can really be something big. I have started already, I have around 30+ posts, started collecting emails, and currently in my fourth month – I was discovered through Google and got a brand sponsorship for one of my marathons in Thailand! But despite this, I am struggling with increasing my website traffic. I want to start doing Affiliate Marketing already and saw on Amazon that I have 6 months to do at least 3 qualified sales. Is it okay now to start Affiliate Marketing while I strive to increase my traffic so that the links are ready once the traffic comes into my blog? Also, I am not from the US and from the Philippines — I researched that I can still do Amazon Associates even if I am not from the US right? Thank you for your email. You can start with affiliate marketing right away 🙂 No need to wait! I’d like to downsize to become a full-time RVer. When it comes to setting up a physical address, how does that work? I’ve thought of using my parents’ address. However, ultimately the state they live in is not retirement friendly when it comes to withdrawing (and having taxed) pensions, 401k’s, IRA’s and social security. What recommendations do you have for setting up a “home” address? And how do you actually receive your mail when you’re not close to that address? Thanks so much! I love reading your posts! We belong to a mail forwarding company, called St. Brendan’s Isle. All of our mail gets sent there, and then this company forwards our mail to wherever we are. This address is on everything we use, even our driver’s license. Completely legal.